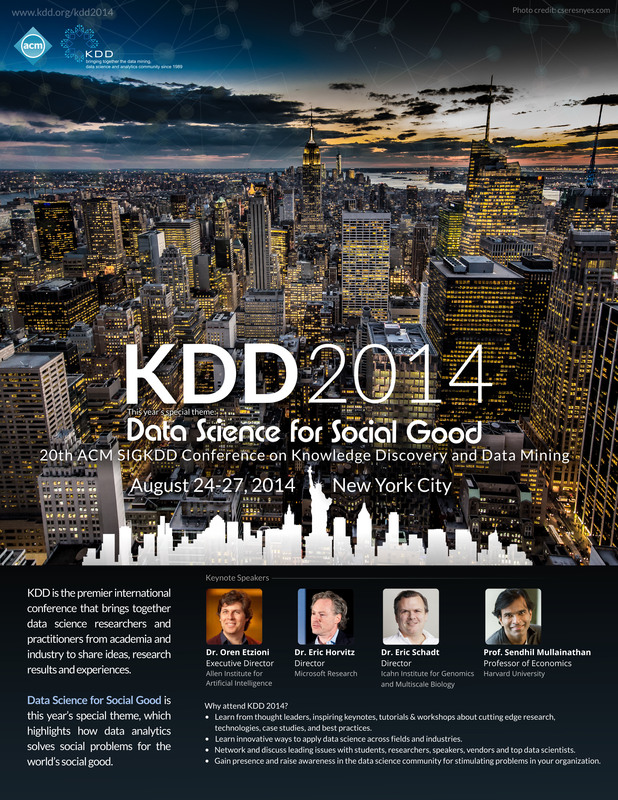 See you at KDD 2015, Aug 10-13, 2015, Sydney! SOLD OUT! KDD is SOLD OUT with record 2200 attendees! Registration is closed. 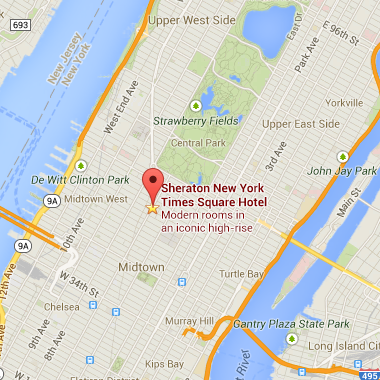 Hotel rooms at the Sheraton for the night of Sat, Aug 23 were sold out. More rooms available at the Park Central NY Hotel. 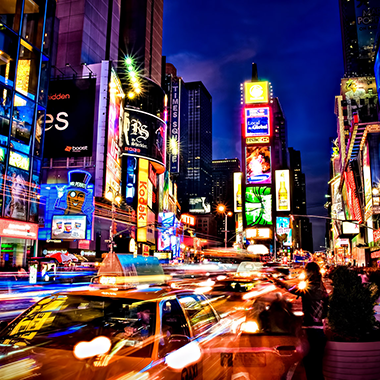 Special car service offer to/from airport now available from Blacklane. 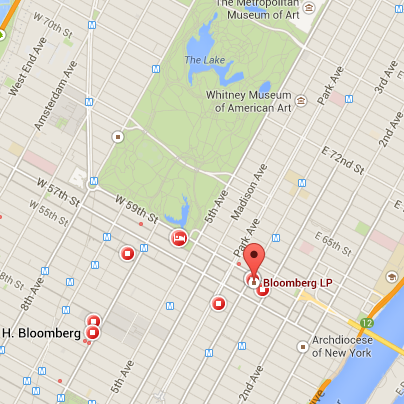 Bloomberg joins KDD to "Unleash Data: Accelerate Impact." 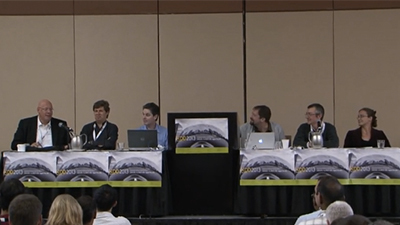 KDD 2014, a premier interdisciplinary conference, brings together researchers and practitioners from data science, data mining, knowledge discovery, large-scale data analytics, and big data. 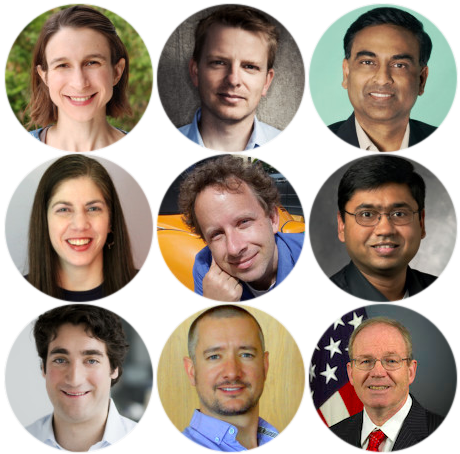 KDD 2014 features 5 keynotes, 151 Research Track papers, 44 Industry & Government Track papers and 8 invited talks, 12 tutorials, 25 workshops including the KDD Cup challenge, the Broadening Participation in Data Mining program, and more! Data Mining for Social Good is this year's special theme, highlighting work that contributes to social good. This year's KDD Cup has concluded. It features an exciting, hard challenge from DonorsChoose. 478 teams with 652 players competed through their 12670 entries! 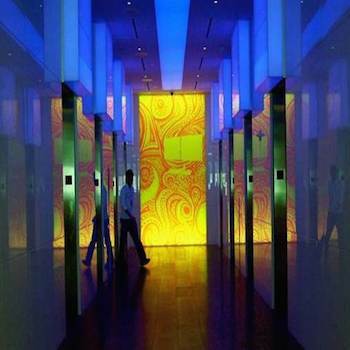 Attend the Broadening Participation in Data Mining program and KDD. See the list of all awardees. Thanks NSF and BPDM! 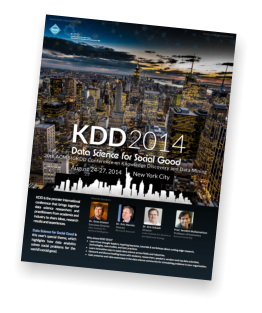 Download the KDD 2014 poster and spread the word! 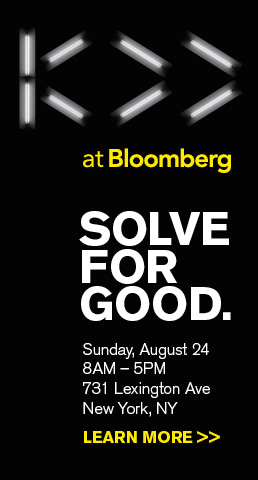 On Sunday, August 24, the KDD conference will kick off with KDD at Bloomberg, a special event between KDD and Bloomberg to Unleash Data: Accelerate Impact. 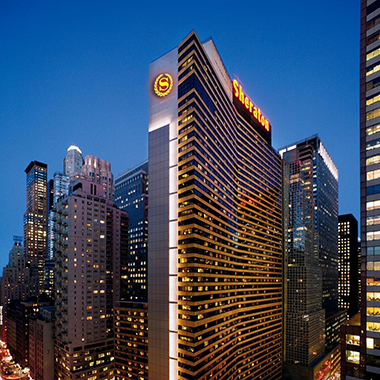 KDD 2014's Sunday venues include: Sheraton New York Times Square Hotel (811 7th Ave, New York, NY 10019), Bloomberg headquarters (731 Lexington Ave New York, NY 10022), and DonorsChoose headquarters (134 W 37th St, New York, NY 10018). 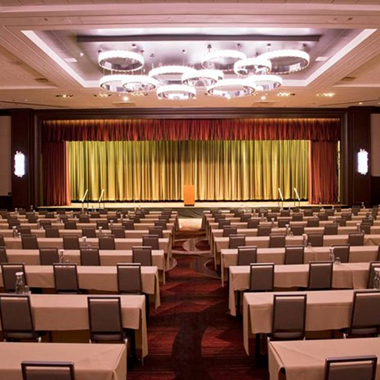 The main KDD conference will be held at the Sheraton New York Times Square Hotel (811 7th Ave, New York, NY 10019), one of the most iconic places of the Big Apple, located at the heart of Midtown on bustling 7th Avenue. Dr. Oren Etzioni is the Executive Director of the Allen Institute for Artificial Intelligence. He was a Professor at the University of Washington's Computer Science department starting in 1991, receiving several awards including Seattle's Geek of the Year (2013), the Robert Engelmore Memorial Award (2007), the IJCAI Distinguished Paper Award (2005), AAAI Fellow (2003), and a National Young Investigator Award (1993). He was also the founder or co-founder of several companies including Farecast (sold to Microsoft in 2008) and Decide (sold to eBay in 2013), and the author of over 100 technical papers that have garnered roughly 20,000 citations. The goal of Oren's research is to solve fundamental problems in AI, particularly the automatic learning of knowledge from text. Oren received his Ph.D. from Carnegie Mellon University in 1991, and his B.A. from Harvard in 1986. Eric Horvitz is distinguished scientist and director of Microsoft Research at Redmond. 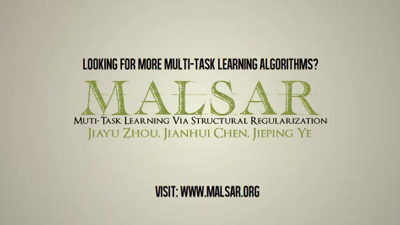 His interests span theoretical and practical challenges with machine learning, inference, and decision making. His efforts have helped to bring multiple systems and services into the world, including innovations in healthcare, ecommerce, aerospace, systems & networking, and human-computer interaction. He has been elected fellow of Association for the Advancement of Artificial Intelligence (AAAI), the American Association for the Advancement of Science (AAAS), the American Academy of Arts and Sciences, and the National Academy of Engineering, and has been inducted into the CHI Academy. He has served as president of AAAI, chair of the AAAS Section on Information, Computing, and Communications, and on the advisory committees for the National Science Foundation’s (NSF) Directorate for Computer & Information Science & Engineering (CISE), the Computing Community Consortium (CCC), and the Information and Science Study Group (ISAT) of the Defense Advanced Research Projects Agency (DARPA). Information on publications, collaborations, and activities can be found at http://research.microsoft.com/~horvitz. Dr. Schadt is an expert on the generation and integration of very large-scale sequence variation, molecular profiling and clinical data in disease populations for constructing molecular networks that define disease states and link molecular biology to physiology. He is known for calling for a shift in molecular biology toward a network-oriented view of living systems to complement the reductionist, single-gene approaches that currently dominate biology in order to more accurately model the complexity of biological systems. 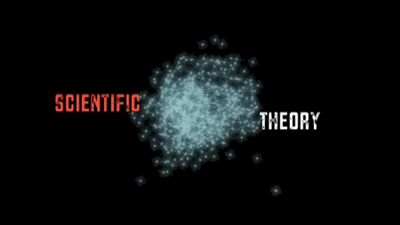 Dr. Schadt’s research has provided novel insights into what is needed to master diverse, large-scale data collected on normal and disease populations in order to elucidate the complexity of disease and make more informed decisions in the drug discovery arena. He has published more than 200 peer-reviewed papers in leading scientific journals, and contributed to a number of discoveries relating to the genetic basis of common human diseases such as diabetes, obesity, and Alzheimer’s disease. 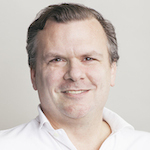 Dr. Schadt is also a founding member of Sage Bionetworks, an open-access genomics initiative designed to build and support databases and an accessible platform for creating innovative dynamic disease models. 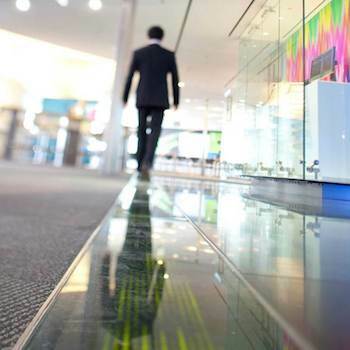 Prior to joining Mount Sinai in 2011, he was Chief Scientific Officer at Pacific Biosciences, the next-generation sequencing technology provider. Previously, Dr. Schadt was Executive Scientific Director of Genetics at Rosetta Inpharmatics, a subsidiary of Merck & Co., Inc. in Seattle, and before Rosetta, Dr. Schadt was a Senior Research Scientist at Roche Bioscience. He received his B.A. in applied mathematics and computer science from California Polytechnic State University, his M.A. in pure mathematics from University of California, Davis, and his Ph.D. in bio-mathematics from University of California, Los Angeles (requiring Ph.D. candidacy in molecular biology and mathematics). He also occasionally enjoys doing. 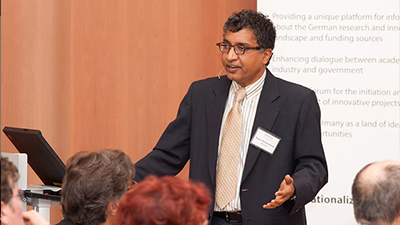 He helped co-found a non-profit to apply behavioral science (ideas42), co-founded a center to promote the use of randomized control trials in development (the Abdul Latif Jameel Poverty Action Lab), serves on the board of the MacArthur Foundation, and has worked in government in various roles, including most recently as Assistant Director of Research at the Consumer Financial Protection Bureau. Much to the surprise of those who know him, he is a recipient of the MacArthur "genius" Award, was designated a "Young Global Leader" by the World Economic Forum, labeled a "Top 100 Thinker" by Foreign Policy Magazine, and named to the "Smart List: 50 people who will change the world" by Wired Magazine (UK). His hobbies include basketball, board games, googling and fixing-up classic espresso machines. He also enjoys speaking about himself in the third person, which works well for bios but less well in daily life. 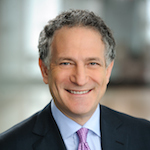 Daniel L. Doctoroff is President and Chief Executive Officer of Bloomberg L.P., the leading provider of financial information. Mr. Doctoroff joined Bloomberg L.P. in January 2008 as President of the Company and was appointed Chief Executive Officer in August 2011. Mr. Doctoroff has led the Company through the financial crisis, achieving record results each year. Prior to joining Bloomberg, Mr. Doctoroff was Deputy Mayor for Economic Development and Rebuilding for the City of New York. Mr. Doctoroff led one of the city’s most dramatic economic resurgences, spearheading the effort to revive New York after the attacks of 9/11 through a five-borough economic development strategy which included the most ambitious land-use transformation in the city’s modern history; the largest affordable housing program ever launched by an American city; and the creation of PlaNYC, New York’s pathbreaking sustainability plan. Before joining the Bloomberg administration, Mr. Doctoroff was Managing Partner of Oak Hill Capital Partners, a major private equity investment firm. While at Oak Hill, Mr. Doctoroff founded NYC2012, the organization dedicated to bringing the Olympic Games to New York. 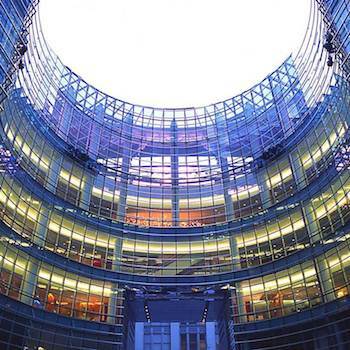 He continued to oversee New York City’s bid as Deputy Mayor, ensuring that the Olympic effort spurred parks, housing, and economic development projects in all five boroughs. Prior to joining Oak Hill, Mr. Doctoroff was an investment banker at Lehman Brothers. Mr. Doctoroff received a B.A. degree from Harvard College and a J.D. degree from The Law School at the University of Chicago. Before attending law school, Doctoroff was a political pollster. Mr. Doctoroff serves on the Boards of the University of Chicago, World Resources Institute, and Human Rights First. In addition, he created Target ALS, a $25 million collaborative effort to develop therapies for Lou Gehrig’s disease, and he is Chairman of Culture Shed, an innovative cultural institution to be located on Manhattan’s West Side.